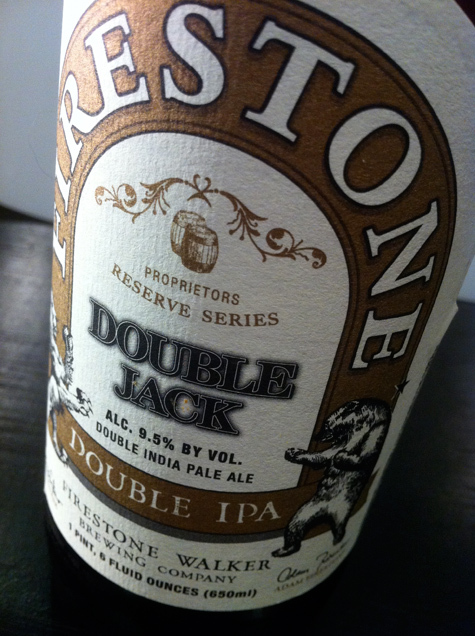 I’m very happy that California based brewery Firestone Walker has graced New Jersey with their beers! This is one of the breweries that I’ve heard so many great things about but have rarely had the opportunity to enjoy. 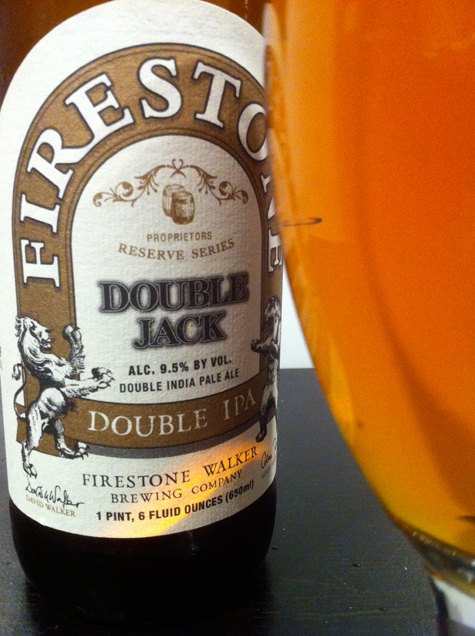 I first had Firestone Walker’s Double Jack on draft at the Cloverleaf Tavern, a couple days later I visited one of my local Beer Stores, Amanti Vino and they still had some left. I had to get a bottle because it was so good on draft.. If you want a one word review, Yum! 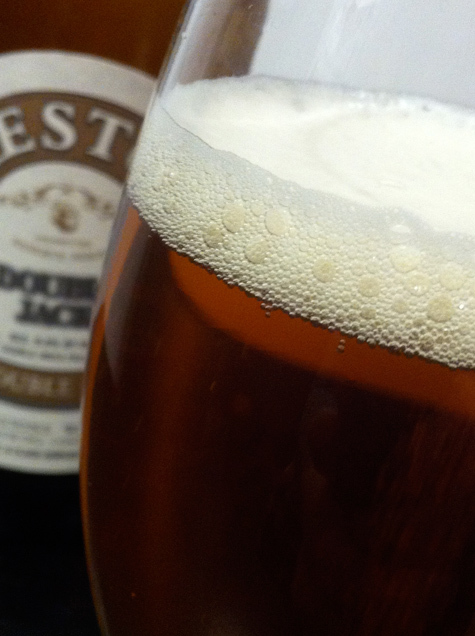 Crazy good, malty, hoppy aroma, one that you can just sit and smell. In fact that is what I’ve been doing for the last 5 minutes! You know what is really striking about this beer, is the clarity. It is an amazingly clear beer. I usually don’t care much about clarity, but the clarity is just spectacular. Did I mention this beer is 9.5% abv, but damn, aside from the big malty profile you would never know. I totally forgot to mention the taste. It was awesome! I’m a big fan and can’t wait to try more of their beer. 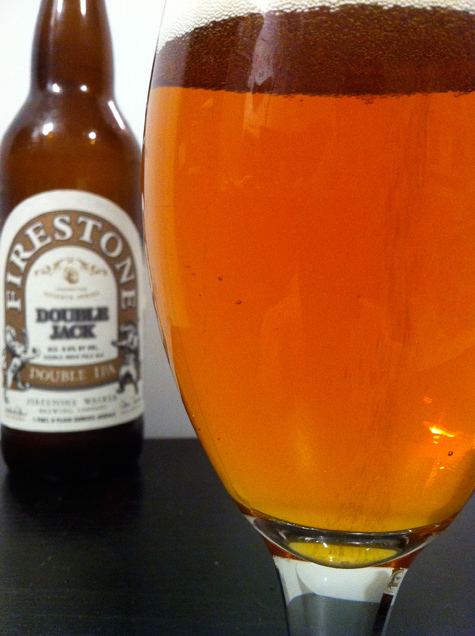 I just realized this was a pretty short review, which probably doesn’t do this beer justice. Just know this, if you don’t try it you are missing out. Big Matly back bone on a super hoppy beer. If you love your malts this beer is for you, if you love your hops this beer is for you, if you love big ABV beers this beer is for you. Loved this one too! Dangerously drinkable. Phenomenal beer Peter, the regular Union Jack is a great beer too, Matt does some great work. I know Maggie! For an almost 10% abv beer it is remarkably drinkable. I am not sure how many people have tried this. But it is my favorite beer right now. I am addicted to IPA, and this one is everything I want at this point. Very strong flavor but still smooth and refreshing. It is a short review, but you have stated exactly what I think every time I drink this…. YUM!